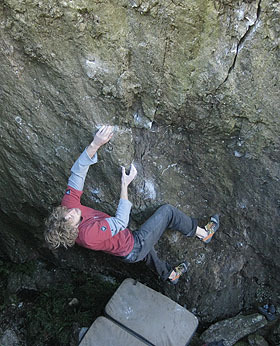 The autumn bouldering season is here and Dave Noden has hit the ground running. 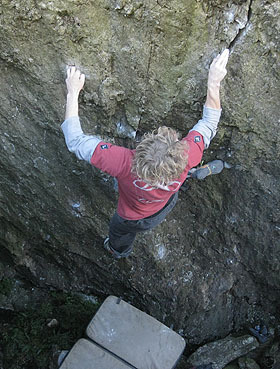 Following on from his success on the Crafnant boulders he cleaned up an old project line in the Llanberis Pass. 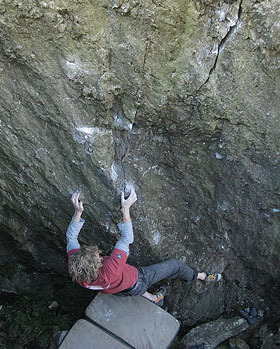 Corridors of Power V11/8A can be found in a slightly hidden corridor at the left side of Craig Bryn Hel (which is home to Spikeful), the craggy area on the opposite side of the river to Craig Ddu. The problem goes from sitting and finishes with a highball top out. To read more of Dave's thoughts on the problem go to his blog.